The Whiskeydicks are back! 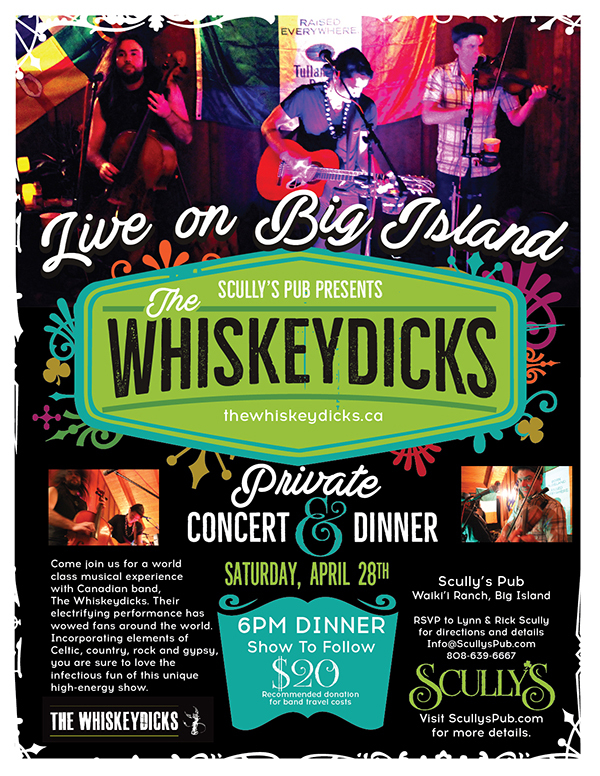 Come join us for an unforgettable night with The Whiskeydicks! Their electrifying performance has wowed fans around the world. With elements of Celtic, country, rock and gypsy, you are sure to love this outrageous and contagious, high-energy show. Visiting from Canada for one night only, do not miss out!